Tesla Motors' CEO Elon Musk unveils the Tesla "D," an all-wheel-drive, at the municipal airport in Hawthorne, Calif., Oct. 9, 2014. Elon Musk is guaranteeing the happiness of new Tesla drivers. The CEO of the luxury electric car maker revealed the details of a new "happiness guarantee" on his blog for leasers of the Tesla Model S sedan. "If you don't like our car for any reason in the first three months, you can just return it and your remaining lease obligation is waived," Musk said. There's only one catch: Drivers can't immediately lease another Model S.
"Upgrading early is no problem if you want to do that, but there is a pass-through fee to cover the new vs used value difference," Musk said. 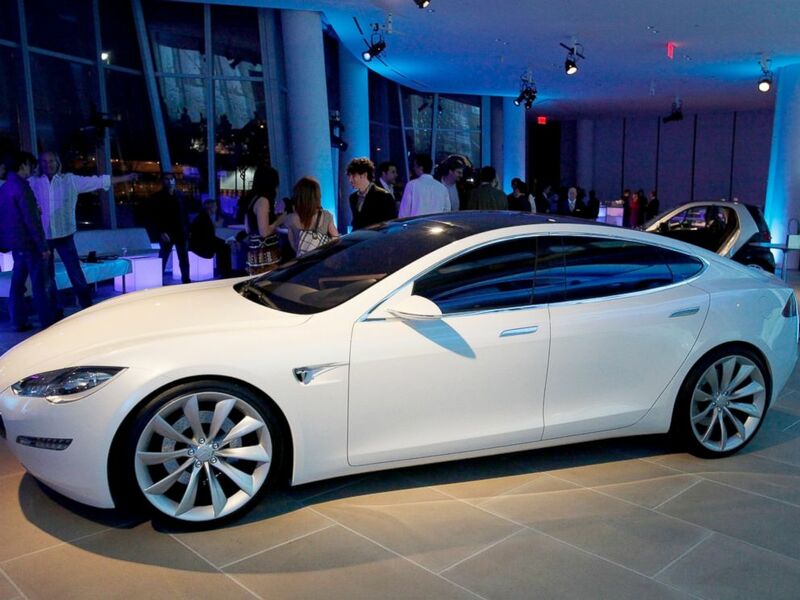 The Tesla S series, April 29, 2009, in New York City. Leasing the car of the future is already ridiculously easy. In many states, Musk said the process involves just a quick tap to agree to terms and conditions. Signatures and paperwork -- along with visits to the gas station -- are relics of the past. Earlier this month, Musk unveiled a souped up Model S complete with autopilot features and supercar-like acceleration that will be available to drivers as early as December. "This car is nuts. It's like taking off from a carrier deck," Musk said at an event to unveil the model. "It's like having your own personal roller coaster that you can use at any time."